Whether it's a single item of furniture or a home, we have the skilled laborers and equipment to meet your requirements. We receive shipments and coordinate storage inspection and last mile white glove delivery. Both financially and emotionally, a living space is one of the biggest investments a person will make. 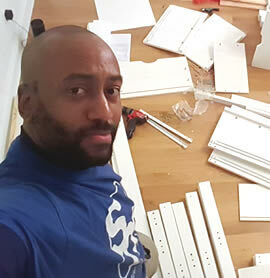 We assist, designers, showrooms and consumers with installation, assembling home products. Furniture will be delivered with a 2-man inside delivery to your location, along with assembly if needed. All cartons are removed and discarded by Soliemoves. Soliemoves is a service focused company. Our primary task is to coordinate the moving parts of your busy life. We consider ourselves a plug and play service. From simple tasks to logistical coordination, have the resources for individuals and business to get stuff done. Let’s work together on your next move, project or whatever life is throwing at you. More importantly, let’s successfully complete it. We love our work and it shows. Schedule us for the same day, late night, or last minute. We hang art, curtains, TV’s, assemble furniture, install AC’s. We receive freight and deliver at a time convenient for you. We are movers, installers, plumbers, DIY, plaster and paint people. See your delivery on Google maps. We provide white glove delivery service for the New York Tri-State area. Yes, we carry insurance for building entrance. This is not our side hustle. We are trained and experienced laborers. You get BIG Business service and small business attention. 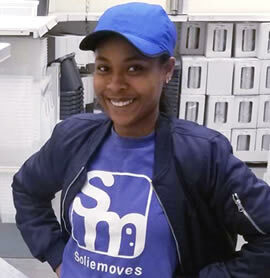 Soliemoves is your professional moving and delivery company. We provide a suite of consumer focus services to assist your relocation needs. Whether you are moving to your new space or just ordering furniture, we have services tailor made for your requirements. What else can you do with Soliemoves? Although we're labeled a moving and delivery service you can get a lot done with us. Check out our services. Service by Solie & Co.